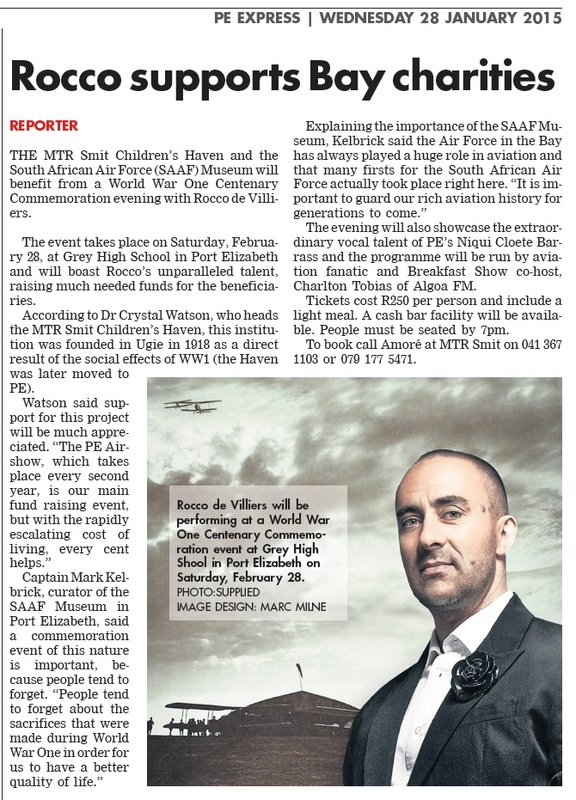 THE MTR Smit Children’s Haven and the South African Air Force (SAAF) Museum will benefit from a World War One Centenary Commemoration evening with Rocco de Villiers. The event takes place on Saturday, February 28, at Grey High School in Port Elizabeth and will boast Rocco’s unparalleled talent, raising much needed funds for the beneficiaries. The evening will also showcase the extraordinary vocal talent of PE’s Niqui Cloete Barrass and the programme will be run by aviation fanatic and Breakfast Show co-host, Charlton Tobias of Algoa FM. Tickets cost R250 per person and include a light meal. A cash bar facility will be available. People must be seated by 7pm. To book call Amoré at MTR Smit on 041 367 1103 or 079 177 5471. According to Dr Crystal Watson, who heads the MTR Smit Children’s Haven, this institution was founded in Ugie in 1918 as a direct result of the social effects of WW1 (the Haven was later moved to PE). 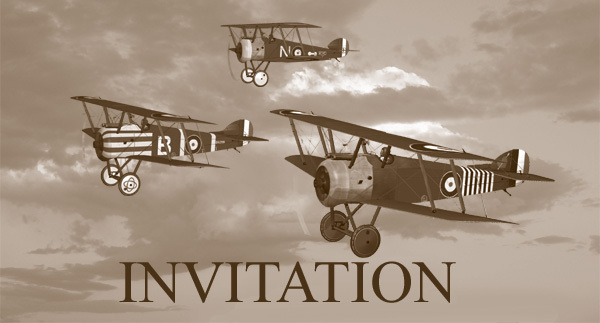 The winner of the Mirage digital art raffle displayed in the PE SAAF Museum reception during the air show is Sally Soule of Port Elizabeth. Well done and thank you to all those kind donors who supported the raffle – your contributions have been invaluable. On Wednesday 4th July 2007 an unusual new exhibit arrived on a flatbed at the SAAF Museum in Port Elizabeth. The Skimmerfoil Jörg IV is an extremely interesting craft which brought a uniquely new dimension to the Museum. The TAF (Tandem Airfoil Flareboat) Skimmerfoil is referred to as a WIG (wings into ground) craft. 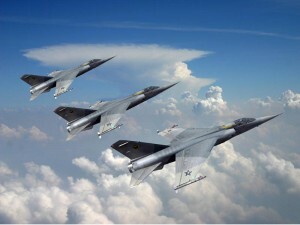 Its inventor is Günther W Jörg, who is still involved in Airfoil Flareboat Technology (Airfoil) in Germany. In 1979/80 successful test runs with 4-6 seaters were carried out in South Africa. 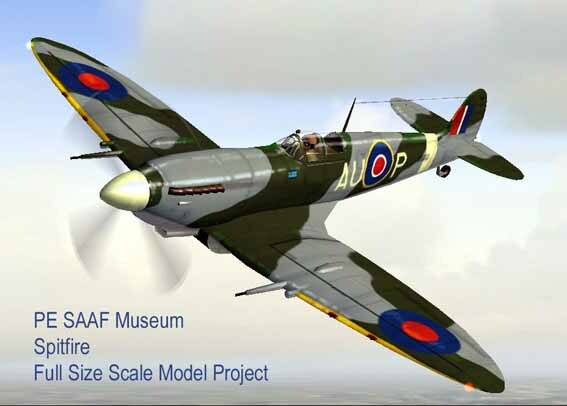 A full size scale model of the WW2 Supermarine Spitfire MK-IV fighter is being constructed in the Bellman Hangar. 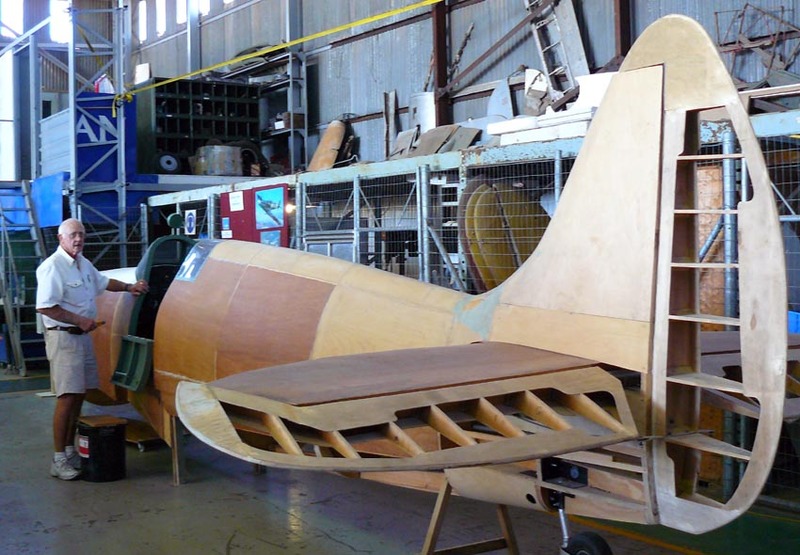 In about March 2010 the former curator of the Museum, Lt. Col. Tinus Janse van Rensburg initiated building a full size Supermarine Spitfire and asked me if I thought it was feasible to construct it out of wood. We had a set of 1/9 scale plans so he arranged with the Nelson Mandela Municipal University to enlarge the fuselage formers to full size. These were printed on paper and laid out on sheets of five ply plywood. I then cut these out with a jig saw and mounted them on a plastic pole at the correct spacing. I proceeded from there to follow the 1/9 plans, making the necessary changes required to fit a person seated in the cockpit. In 2011 Fred Muller joined me and we proceeded to construct the fuselage with whatever timber materials we lay our hands on. This consisted of shutter board, 3 ply plywood and pine planking sawn to the correct widths for the ribs and main spars. The cockpit was constructed as realistic as possible using spare gauges and made-up parts from the WW2. I had to rebuild some of the gauges and make up others match and position all the gauges as close as possible to the real aircraft. The fuselage took shape and we progressed to the wing section. This element was problematic as I had to design and manufacture the undercarriage frame with steel tubing obtained from Peter Boshoff the AMO. Together with Col. John van Rooyen’s assistance, we welded up a frame and fitted undercarriage legs and installed these into the timber wing section. Peter Boshoff then donated two Yak Oleo legs which, with some lathe work were fitted. Finally, we obtained two Vampire wheels and tyres from Pretoria but these were without tubes. I then purchased two passenger car tubes and made up two valves to fit. The undercarriage was finally fitted to the wing section and ready to be attached to the fuselage which was being completed in between this work. 50L of Polyurethane liquid for foam was kindly donated by the Chemical Company BASF, enabling us to cast parts to then carve and shape out Spitfire air scoops. The exhaust outlet stubs donated by E.P. Mufflers, a local exhaust manufacturing company. The cockpit received its undercarriage control, throttle and pitch control constructed to match the Spitfire as closely as possible. The tail wheel assembly was remodeled as the weight of the aircraft was too great for the initial parts constructed. The wing ribs have been cut and assembled by Wally Viljoen who recently joined the team with timber donated by Pennypinchers. Work in progress consists of planning the spars and commencing with construction of the two wing sections. 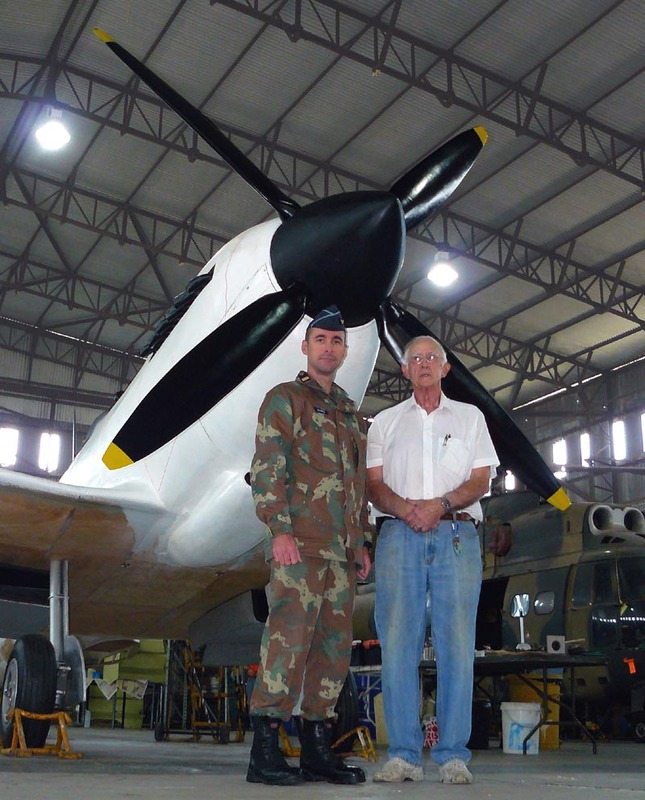 A representative of the RAF Officers Club in Johannesburg paid a visit to the Museum and that organisation made a donation towards the manufacture of the aluminium structure for the main wings. The four Blade propeller with a diameter of 3,2 m (10′ 9″) was manufactured thanks to kind assistance by Plastics By Graymaur which filled up much needed technical gap for the propellers moulding. Wayne Williams of Graymaur visited the Museum during a family member birthday party and was so impressed with the project that he offered to make a mould of the propellers using their hi-tech 3D computer CNC Router machine. Aircraft will be painted in the standard camouflage of Ocean grey/green with a light sea grey underside and have Sailor Malan’s markings when he was a Group Captain. The markings are being researched right now to ensure correctness. Jon Adams is doing some research for me as well as he knows Sailor’s son whom he will bring down with the rollout. The restoration of a WW2 40mm Mk 1 Anti-Aircraft field gun is taking place in the Parachute loft. Permission to visit this work in progress must be obtained and guided by a staff member. 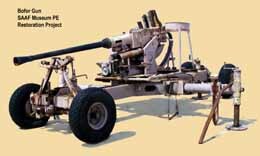 The Bofors gun is an anti-aircraft autocannon designed by the Swedish defense firm Bofors. It was the most popular medium-weight anti-aircraft system during World War II, used by most of the western allies as well as various other forces. They remain in service to this day making it one of the longest-serving artillery pieces of all time. When Airspeed Oxford G-AITF (ED290) arrived at the SAAF Museum in Port Elizabeth, it was hoped that with assistance from the SAAF and interested local commercial sponsors, the aircraft might be put back into the air – or at the very least into a taxi-able condition. The engines were completely overhauled and had run on a test rig for 1,5 hours by the early 1990’s. Progress was then hampered over following years due to the Museum moving into a Second World War Gunnery Training Hall that needed a lot of renovation work, and priority being given to other static exhibits, a Vampire FB 5 being one of them. The fuselage and centre section had been stripped in 1995, but it was only from 2000 that suspect structure, cockpit controls, instruments, hydraulics and pneumatics were completely renovated into operational order. A rudder was fabricated by Friend of the Museum Rob Tribelhorn to replace the one that was missing when the aircraft was received from the RAF Museum. Rob also did a lot of work on the wings, replacing damaged skin and recovering them. However, no attention was paid to the wing internal structure or mechanics at this time due to lack of adequate funding, and therefore, even the prospect of taxiing faded. Recently, another Friend of the Museum, Paul Stringer, has taken over the project, concentrating at this stage on progressively cleaning/repainting the remaining parts and re-attaching them with the airframe, to complete the Oxford to good static display condition as soon as possible. Currently coated in the overall yellow of a training aircraft for the Joint Air Training Scheme, it is planned to add a gun turret, and finally spray it in the camouflage/ yellow colours of an aircraft from 42 Air School, a navigation, bombing and gunnery training school that trained both RAF and SAAF aircrew from Port Elizabeth during World War Two.